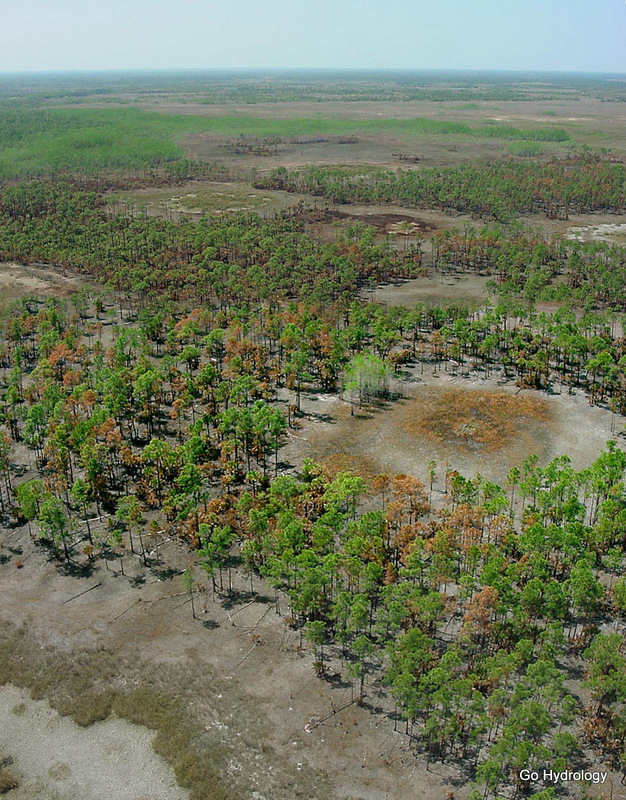 Here's a bird's eye view of how fire burns through the swamp. It's more of a mosaic than a clean sweep. There's Little Marsh in the background (with a tongue of green cypress) and a bunch of circular-shaped little marshes in the foreground. In there centers is probably still some water, or at least moist. That makes a difference on what and where gets burned. It's the Liliputian mountains of the swamp where the pinelands are that most frequently get burned. This fire started from a lightning strike on the front edge of a cold front.